The Norton presents an array of exciting programs – many of the them new this season -- to engage adults intellectually and creatively. The Norton presents notable speakers in the fields of arts and culture to share their wisdom and insight on topics both timely and enduring. Admission is free, seating is first-come, first-served. programs that changes every week. Artist Talks provide a rare opportunity for art lovers to meet living artists and get the inside story on their artistic process and what inspires them . The talks are free with admission; seating is first-come, first-served. This season, the Norton presents a Feminist Art History Forum, and a panel on American Collectors and Their Museums. Both include a compelling array of experts from universities, galleries, and museums. Programming includes: a Norton Cinema series, featuring independent and rarely screened films; a Contemporary Dance series; and a re-energized Live! At the Norton concert series, presenting acts on the leading edge of contemporary classical music. Adults who want to learn more about the arts, or discover the artist within, new offerings include: Interdisciplinary Arts Workshops, Studio Art Workshops, and an art history course – Special Topics in Chinese Art. Throughout the year during free, public presentations, Norton curators provide insight and context to exhibitions they have organized and art and artists they have studied and admire. Participants read a selected book in advance and view a related artwork from the Museum Collection or an exhibition, then discuss the works and their relationship. This program takes place from 2pm to 3pm on select Saturdays. 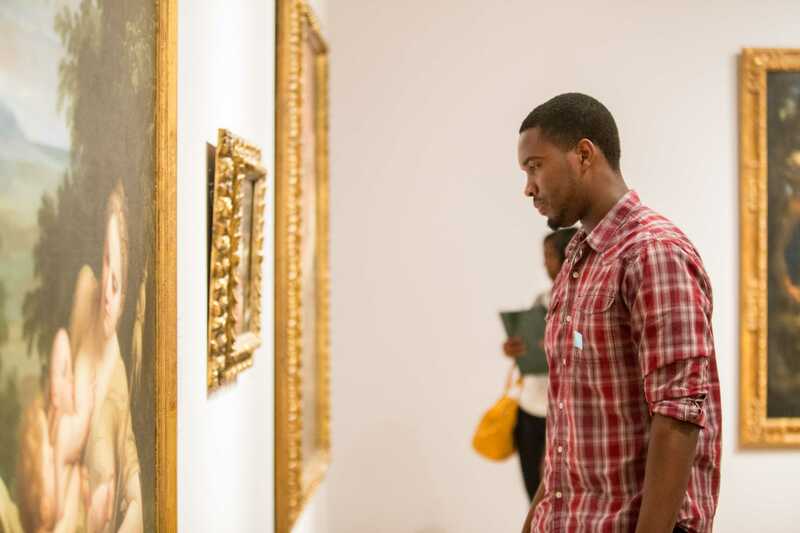 Each month take a deep dive into a single, outstanding artwork in the Museum Collection. Each talk is given twice. This new program features independent and rarely seen films that explore contemporary social issues, experimental forms shaping cinema today, and films by artists whose work is on exhibit. Friday screenings include discussions with directors. This four-part, annual subscription lecture and luncheon series features pre-eminent art scholars and authors. A catered lunch is followed by an author presentation and book signing.